With some 40 years’ experience, Paul Paxton-Hall is one of Brisbane’s foremost legal minds in the commercial, estate planning and not-for-profit areas of the law. His focus on professional excellence, outstanding client service and commitment to client interest have been the hallmarks of his legal career. Paul has a keen attention to detail and endeavours to provide practical business and tax solutions to complex legal problems. He is a strategic thinker with a focus on outcome rather than process. Paul has worked in the commercial, corporate, finance and tax areas of the law throughout his career. His current focus is the commercial and tax areas in the not-for-profit sector and all aspects of business law, trust and superannuation relevant to estate planning, business succession and SME business services. 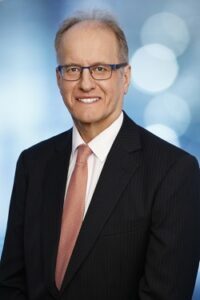 Paul is the Deputy Chair of the Law Society’s not-for-profit committee, a fellow of the Governance Institute of Australia and a member of both the Society of Tax and Estate Planning Lawyers and the Taxation Institute of Australia. He holds a number of not-for-profit directorships as well.